213 3rd Creek Road, Statesville, NC 28677 (#3409114) :: Robert Greene Real Estate, Inc. 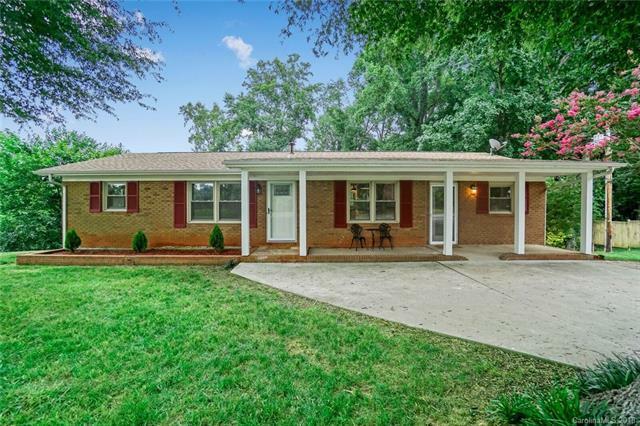 Cozy, full brick, move-in ready ranch with finished walk-out basement. Beautifully updated home featuring luxury vinyl wide-plank flooring, ceiling fans, updated light fixtures, tile backsplash, SS appliances-2016, water heater-2015, roof-2015. Relax on the covered front porch or in the back yard on your private, over-sized patio. Carport was enclosed by previous owner and used as a beauty shop. The current sellers use it as a master bedroom. Other possibilities would be an in-law suite, since it has its own entrance. It also has a closet, full bathroom and laundry room in the rear space of the room. Septic is for 3 bedrooms. Need storage? This home has it! The basement has an extra room and a workshop space. Enjoy country living while still in close proximity of shopping, restaurants, schools, and I-77. 100% USDA financing available on this property!